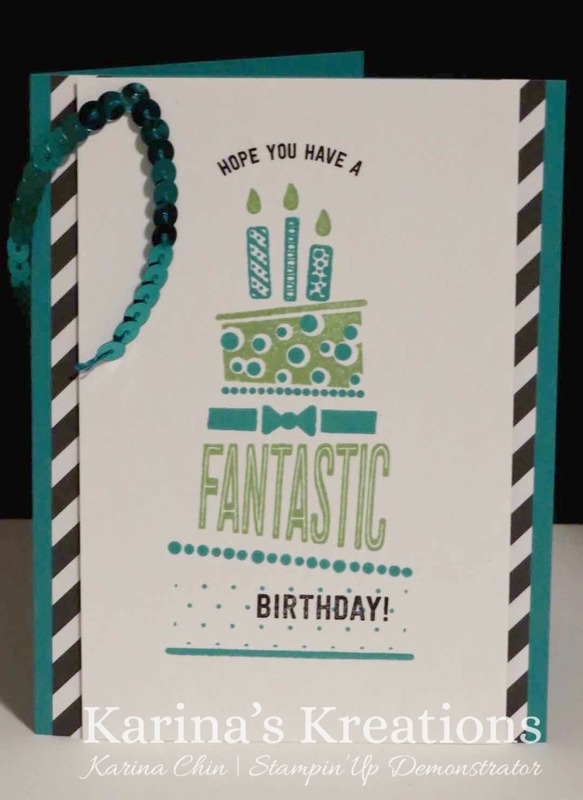 Karina's Kreations: Stampin'Up Cake Crazy! Isn't this a cute birthday card? It uses the cake crazy stamp set # 142850. You can make tons of different cake designs with this set. Look at all the fun images! 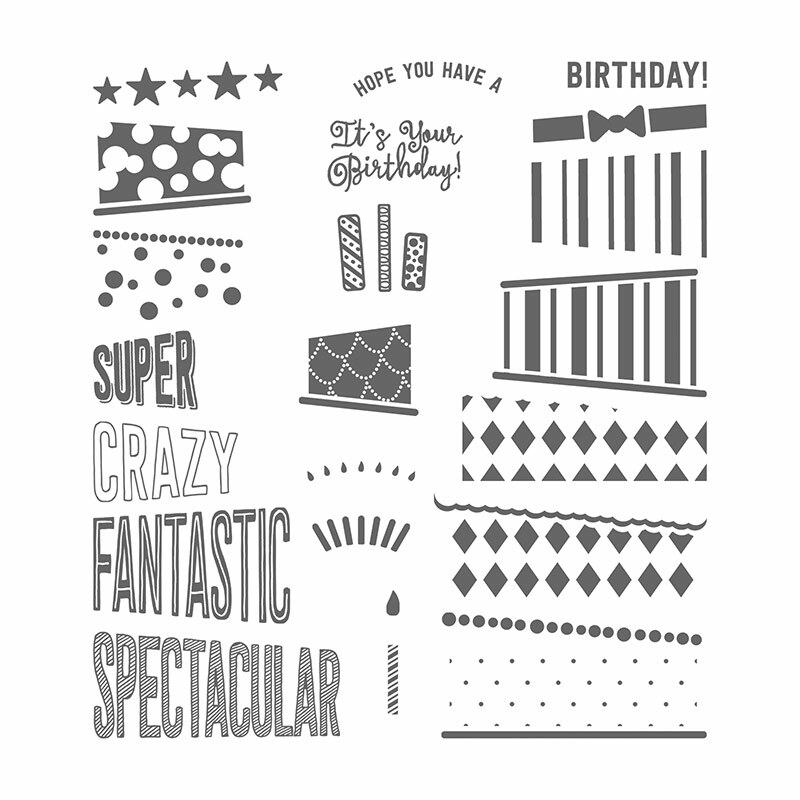 Imagine the cakes you can design with this stamp set. My card uses Bermuda Bay, Wild Wasbi and Basic Black ink. The card stock colors are Bermuda Bay, Whisper White and Neutrals Designer Series Paper Stack. I added a little Bermuda Bay sequin trim to the card.